I recently visited the Annenberg Space for Photography in Century City, CA for the first time. The main space and Skylight Studios are in the middle of the Century City complex and you would never know they were there from the street. This felt elitist to me but the layout is nice, admission is free, and the underground parking is almost free with validation. The REFUGEE and NEW AMERICANS (Skylight Studios) exhibits were rich and powerful. 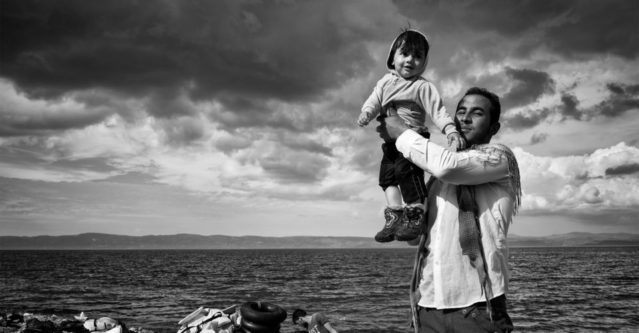 An international team of photojournalists and professional photographers are working with the UNHCR to tell the human stories of the refugee crisis abound the world. There is a lot to absorb and this certainly changed my thinking about refugees, immigration, and the incredible human cruelty that has created this situation. I highly recommend this show which runs through August 21st.